Before even considering which foundation is best for your skin, you need to make sure you prepare your skin and think about what goes under your foundation. A consistent skin care routine is key to formulating the perfect blank canvas to apply foundation. Without the prep being spot on even if you have a good foundation it won’t sit well. So before applying any makeup, you firstly need to cleanse properly. Some of my favourite cleansers for oily skin are Kiehl's Rare Earth Deep Pore Daily Cleanser and Elemis Lime Blossoming Cleanser or if you want a more affordable product, try the Glycolic Cleansing Peel by B. Follow this with exfoliating the skin to remove any dead skin cells that could cause your foundation to look patchy or uneven. I love this Gentle Foaming Cleanser by Clarins! Finish with a moisturiser that suits your skin as foundation sinks better into hydrated skin. Just because your skin is oily you don't want to be stripping it of moisture out of fear of it becoming oilier. If you do that your skin will react by producing more oil. Keep hydrating! Next add a primer. Priming is an essential step to create a smooth base that will ensure your foundation stays on for longer, you will also find that it is a barrier to stop oil coming through to your foundation so you won’t have to use as much. 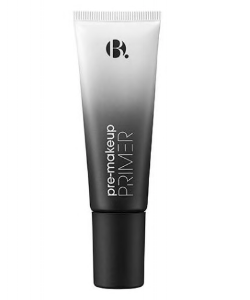 Use a brush to apply the primer as your fingers may have an oily residue and move products. The hubby brush from my range is perfect. Here are some of the best oil fighting primers that prevent clogging your pores and drying out the skin. Right so we’ve got the preparation in place and now we can move onto foundation! 1) Dior 'Diorskin Forever' Liquid Foundaion- This foundation is super light and mattifying and glides onto the skin really easily. 2) Fenty Pro Filt’r Soft Matte Longwear Foundation- I love this foundation by Rihanna, it gives a shine free finish and comes in a range of hard to match skin tones. 3) La Mer Soft Fluid Long Wear Foundation SPF20- referred to as a ‘miracle broth’ this is a weightless foundation that fights against your makeup coming off even in humidity! 4. Huda Faux Filter foundation gives exactly what it says, a flawless finish and really lasts. It's a full coverage, matte finish which you can use sparingly and nothing is getting through this bad boy. 6. B. Flawless Matte foundation - of course I love this because I tried and tested it before it even hit the shelves. It's a gorgeous texture and although it's matte, it isn't too drying and still allows the skin to look radiant. It's a must try! Start by applying small amounts of foundation to the skin using a fluffy brush. I really like the B.concealer brush because its small and fluffy and you can apply the exact right amount. It makes it easier to build your foundation allowing each layer to dry into the skin as you go. That helps it last longer and avoid overloading the skin. Setting your base is important but if you’ve done all the previous steps right it's just the finishing touch. If you’re using a matte base you can reintroduce a healthy glow with a radiant powder such as Mac mineralise skin finish natural powder or go for spot powdering and only use it in the areas you need to set. If you get all the layers right you shouldn’t be overloading your skin with powder. Carry the Mac blotting papers for on the go touch ups if you need to but be careful not to disturb your makeup when you press them onto the skin.